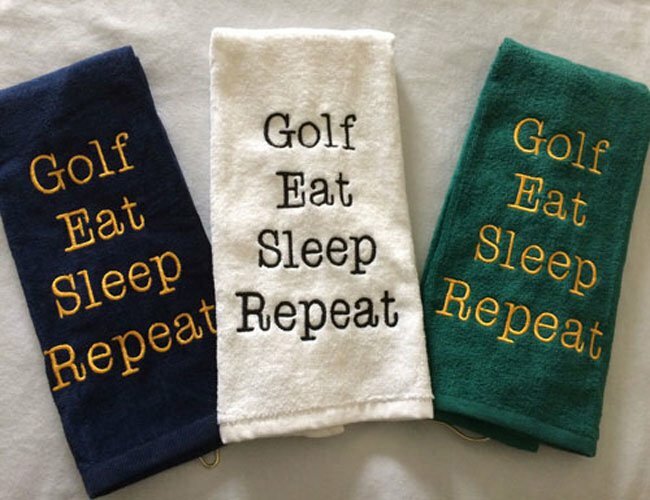 This humorous saying shows that one golf player goes through a routine....Golf, Eat, Sleep, Repeat. 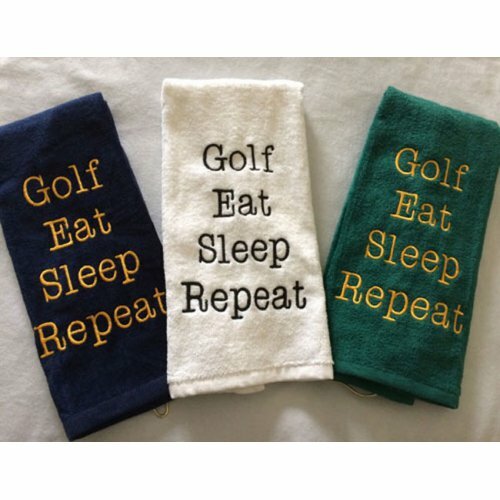 The navy blue towel is velour, while the white and green towel are made from terry. 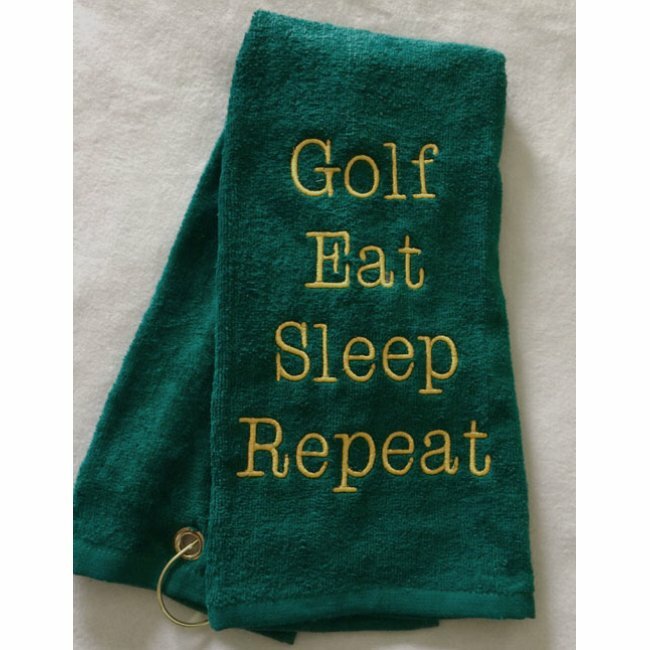 We used merit gold thread for both the white and green, while the white golf towel thread color is black. Use drop down box for towel choice. 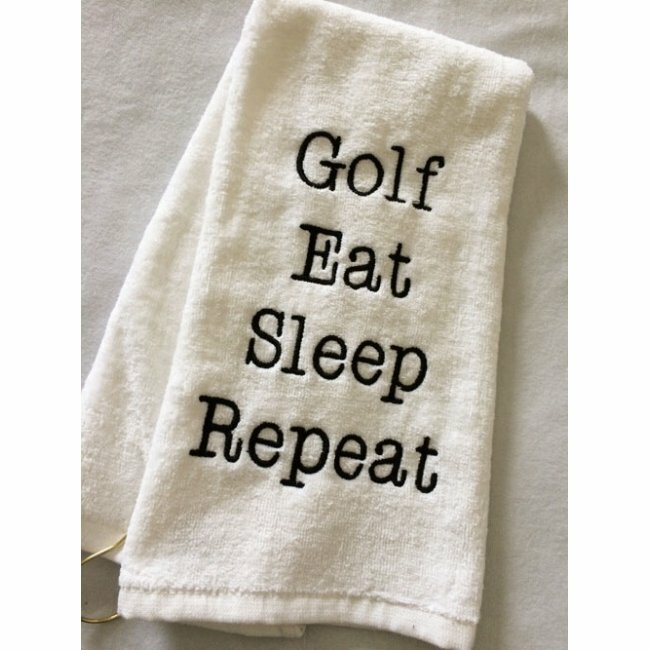 If you like this towel, but prefer a different font color, please indicate thread color in the text box and we would be happy to match the color as closely as possible (ie. turquoise, lime green, bright pink, etc). 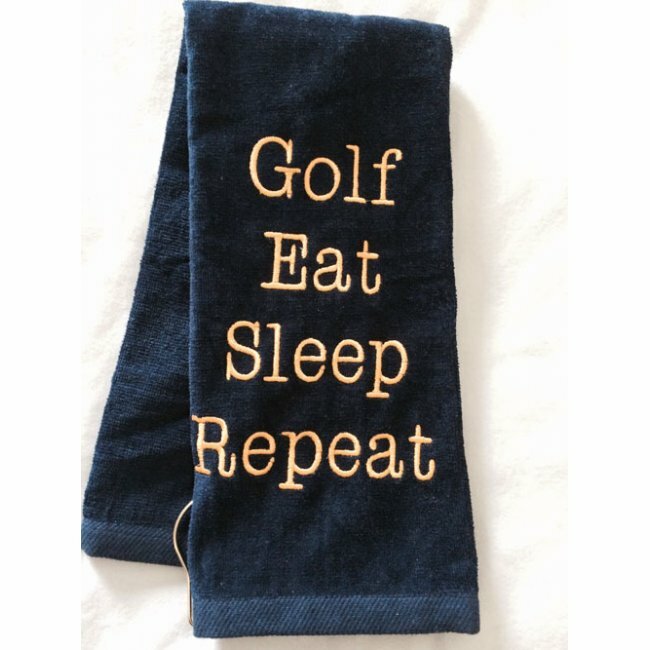 These is a tri-fold golf towels measure 27 inches long.